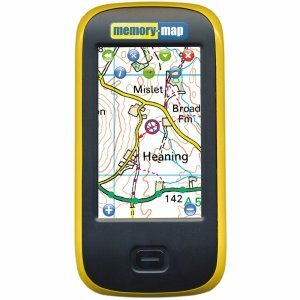 A handheld GPS unit loaded with Ordnance Survey maps can be a useful addition to your walking equipment. It could increase the enjoyment you get from walking, make route finding easier and could contirbute to your safety. Of course a GPS is not a substitute for map reading and compass skills and these skills should always be kept up to date. However, a GPS can be used as additional equipment to compliment navigation skills, particularly on moorland walks where paths can become indistinct. It can be easy to stray off course and an accurate GPS could help indicate where you are and where you should be. 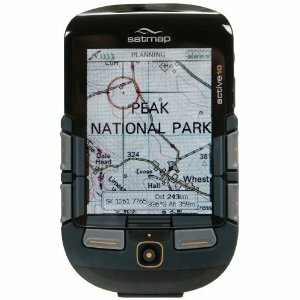 There are a number of different GPS units from well known manufacturers available with Ordnance Survey Maps pre-loaded. Additional maps are also available. Below are a few potential benefits of using a handheld GPS for walking and links to information about some of the units currently available to buy. Why Use a Handheld GPS for Walking ? You can plan your route and record it on your GPS then follow your route on the GPS which can show your position at any time. (You should still carry a paper map and compass in case the GPS unit breaks, runs out of batteries, etc. In an emergencies a GPS can be a lifesaver in conjunction with a mobile phone because you can provide emergency services with your precise map grid reference. This alone could make the purchase worthwhile. Can help to make walking Safer particularly in poor weather conditions. Useful for getting a quick grid reference instead of using a compass and map. Recording walking speed, distance travelled, distance left to walk on a planned route. Uploading routes walked for future reference. Can save time when navigating in bad weather and allowed. Geocaching - popular hobby growing in popularity. Take photos and record map grid locations.